This is a very diverse family, with over 1400 species in North America. These bees are solitary and common in the spring when females build their nests. 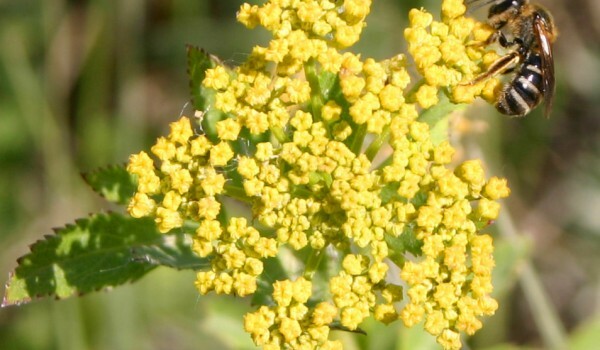 They collect pollen and nectar from early blooming flowers, some of which is used to feed their larvae. Special wing movements produce vibrations that shake loose pollen from inside a flower’s anthers. 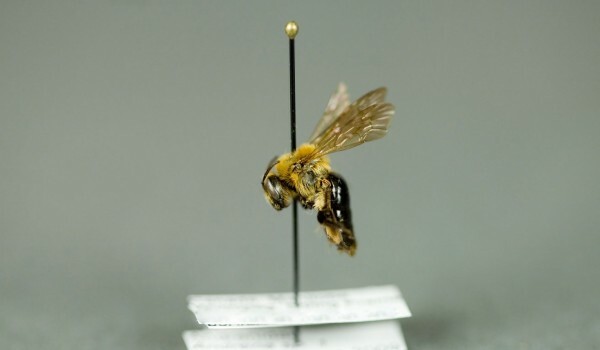 This makes these bees effective pollinators of many plant species. In the spring, females dig a tunnel with around eight brood chambers. She fills each of these with a ball of pollen and nectar, upon which an egg is laid. Each chamber is then sealed. Once larvae emerge, they feed on the nectar and pollen until they pupate. Over the winter, adult bees hibernate in their underground nests. 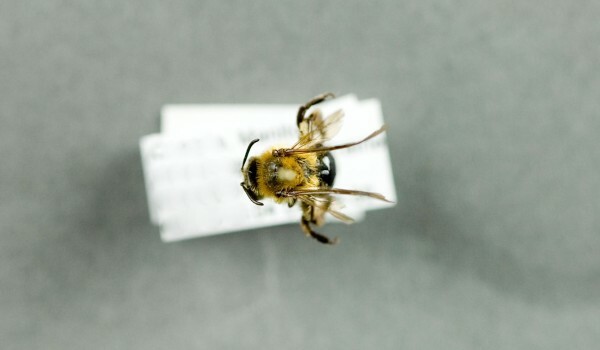 Andrenid Bees range from 10 to 20 mm long, with smoky to dark wings. Many are brown or reddish to black in colour, and some have yellow or white markings. Their head and thorax is about the same size, with the abdomen usually the longest body segment. Most species have a short, pointed tongue and a pollen brush on their hind legs. 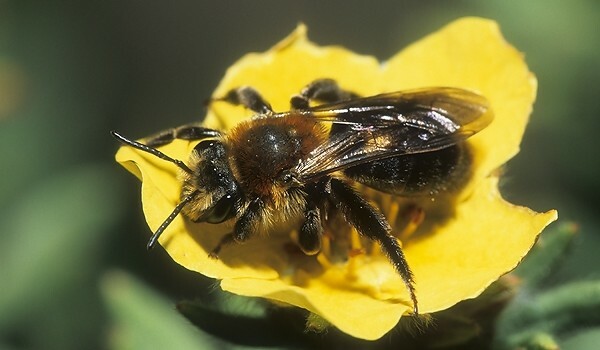 These bees nest in the ground, usually in areas of sparse vegetation such as old meadows, dry roadbeds, or sandy paths. In suitable sites, several nests are often built close to each other.